Danny was a Northern Ireland schools, youth, Under-21 and 'B' international and went on to become a full international with 29 caps. He was with St Johnstone for almost seven years and then signed for United. His debut was delayed for several months because of injury but he became a regular in the line up and Club captain. 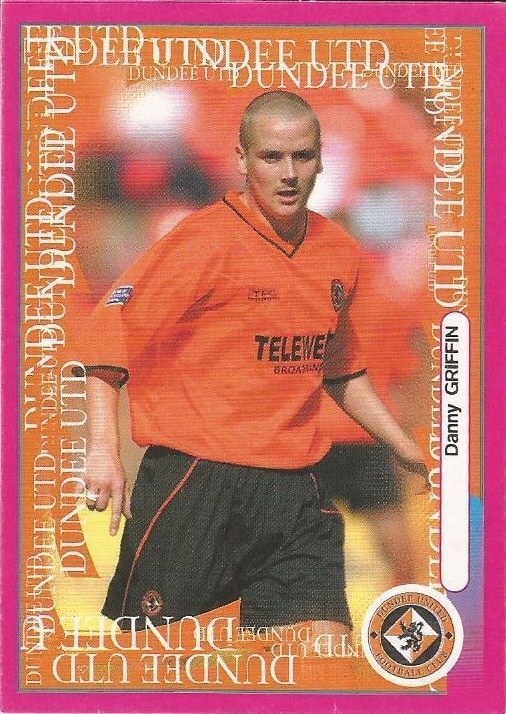 Danny was plagued by injury in his last two seasons at Tannadice, and in January 2004 he left to join Stockport County. Danny was born on this date in Belfast, Northern Ireland. Visits toTynecastle Park have not been that enjoyable in recent seasons with some notable exceptions, not least, our victory there last season. 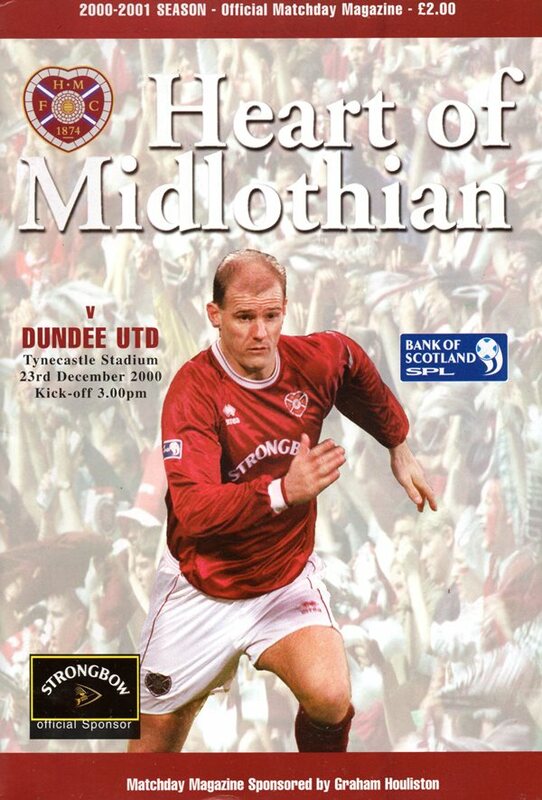 In this game, right from the start, it was clear that this would not be one of the exceptions with Hearts threatening to swamp United from the first few minutes. United started without the man who has rapidly become a hero in the Arab defence, the suspended Jim Lauchlan...and how we missed him! Hearts cut right through the tangerine rearguard from the kick-off and within five minutes were one up when Colin Cameron netted. United were happy to give another outing to Danny Griffin but they didn't look up for the battle here and the Jambo's threatened to provide a big score when they went two up by the 20th minute, the second coming from a quite spectacular Neil Heaney headed own goal. Then quite surprisingly, the visitors came back into the match. United won a free kick just outside the penalty area and Hasney Aljofree scored from the rebound of Miller's free kick after 27 minutes. For a while, United took heart from getting back into the game and a nervousness spread round the maroon support. It was surprising that the Arabs were still within one goal of Hearts at half time because they hadn't played well and the Jambo's were playing with a strong sense of purpose for their new manager. United made the long trip to Kilmarnock today and scored a goal in each half to grab all three points and move up three places in the league to seventh. There were two changes from the eleven who started on Tuesday evening against Partick Thistle, with Jim Paterson and Barry Robson fielded in place of Danny Griffin and Charlie Miller, both of whom were on the bench.